Magical Armor - "So you are looking for armor are you? Well take at look at what we have in store. 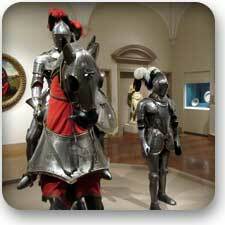 We have cloth armor, light armor, medium armor, heavy armor. Anything that you want we have it." Common Armor - "Not everyone can afford the best and that is ok. We have a wide selection of common woven cloth armor, common light hide armor, common medium chainmail armor, and common heavy plate armor. Take a look around and see if one of these sets suits your needs." Uncommon Armor - "Uncommon armor can really protect you in the heat of battle. It is great protection especially when you are under 25th level. Anything better usually sells out right away. We have a wide selection of uncommon woven cloth armor, uncommon light hide armor, uncommon medium chainmail armor, and uncommon heavy plate armor. Take a look around and see if one of these sets is what you are looking for." Rare Armor - Rare armor flies off the shelves. The auction house is the best place to look for it but it can be expensive and it really only needed when you reach levels above 25th. Of course it is always nice to have since each piece has unique powers in addition to traditional uses. Unique Armor - "These pieces are one of a kind. You might find one at the auction house but these items are usually heirlooms that sell for a small fortune. Your best bet it to find on on an adventure."